Yesterday has been a very special day for the Russo brothers in Lea Valley. 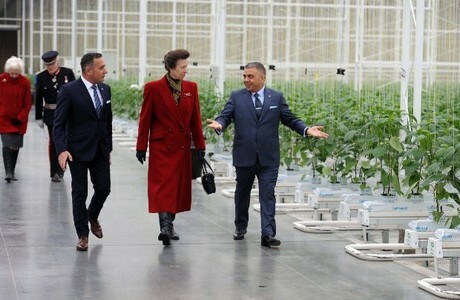 The Princess Royal, Anne, visited their glasshouse in Nazeing, Essex. About 50 kilometers north of London the UK farm Valley Grown Nurseries is situated in the Lea Valley. The greenhouse was founded in 2003 by the brothers Vince and Jimmy Russo. They’ve already had their own trade company, Valley Grown Salads, since the eighties. To get a better grip on the supply chain, they decided to start growing themselves. Since then, they produce bell peppers, sweet pointed peppers and snack peppers. The glasshouse has expanded to 15 hectares in the last few years. It's the largest built glasshouse in the British Lea Valley since the 1950s. 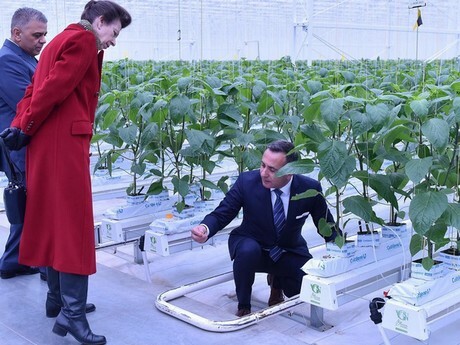 Her Royal Highness The Princess Royal went behind the scenes of a state-of-the-art glasshouse. Vince and Jimmy Russo explained how they were investing in the nursery to increase production. 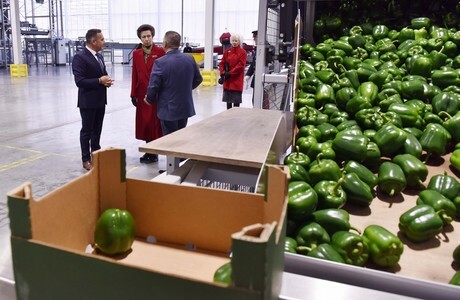 The tour included a visit to the packing and grading area, where automated trolleys are used to bring produce out of the glasshouses. 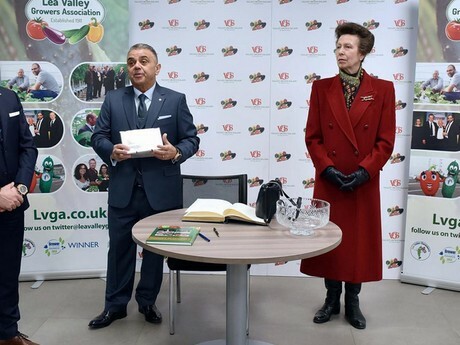 The Princess Royal unveiled a commemorative plaque and signed the same Lea Valley Growers' Association visitors book that her grandmother, The Queen Mother, signed when she visited the Lea Valley in June 1959.